We like to feature stories from recipients of The Circle Way New Initiative Grants, both to show the breadth of possibility using The Circle Way in our world, and to demonstrate to our donors the results of their generous support. This month, Paige Nelson, Creative Director of Creative Expression for Children, LLC (USA) describes her intention for designing a circle-based education and support program for parents to combat the rise in teen suicide in her community. Exploring further with parents, we saw the need to build a new model with parents actively coming together to learn, by honoring and reflecting a deeper purpose for each other and by collaborating on movements to combat the rise in teen suicides. Our mission was simple: Together we would build a world our children would love to be alive in. Given that we would use The Circle Way as our structure for meeting and conversation, I would apply for a start up grant. 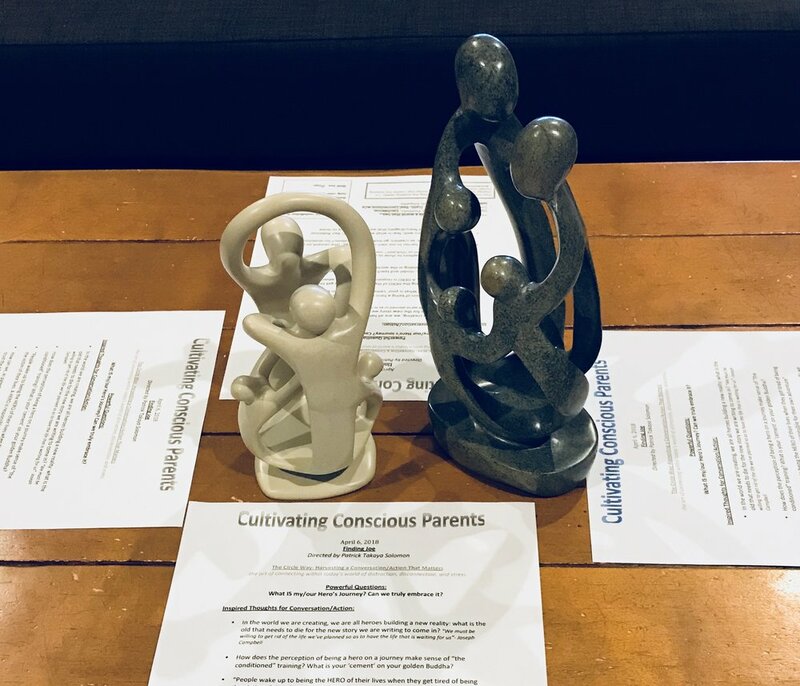 The program is designed to bring parents together to deepen our own self awareness and provide a safe space for courageous and vulnerable conversations. As our purpose is to collaborate to encourage and support the growth of a world that inspires our children to live original creative lives, we feel responsible to do all we can to make this happen. We each want to feel proud of our abilities to raise our children in such a world. Sensing into this deep need to come together, we began in our first circle with six parents with a design frame of Connect, Learn, Share and Grow. First, we connect as a group reaffirming our purpose and checking in with each other. Then we learn as we watch a thought-provoking and pertinent documentary. We share using components of The Circle Way, inviting impressions, insights, intentions and active problem-solving ideas that purposely align with and contribute to our mission. Through this time together, initially once or twice a month, we grow ourselves, each other, our mission. While meeting in a living room works well for a small group to create the informal and intimate space for connection, as the group grows, we will secure a space that is both intimate and allows for us to grow, and where we can meet more frequently as momentum gathers. We want people to feel they can relax their “outside” personas, and talk in a meaningful and if need be, vulnerable way. Hosting this group well means providing nuture and sustenance by way of healthy refreshments. Print materials supplement our circle conversation and a large white dry-erase board and markers support note-taking during the experience.